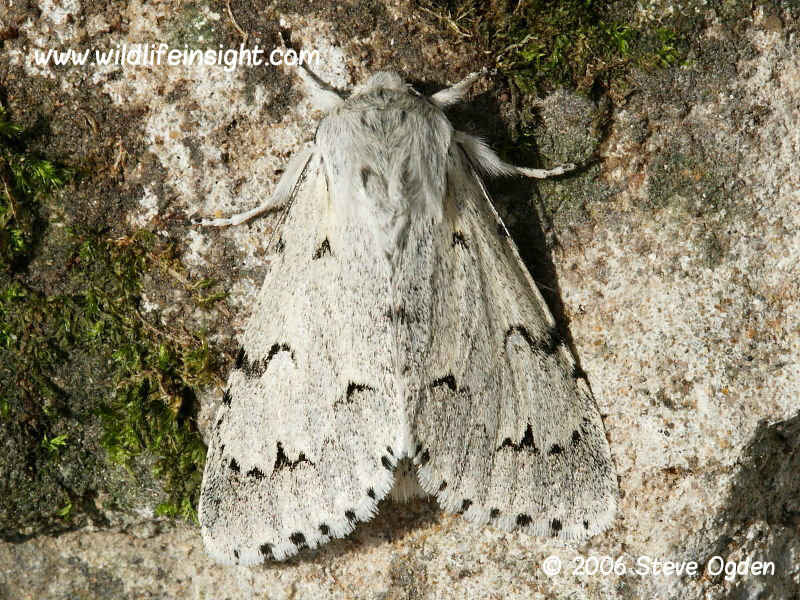 In the British Isles The Miller Moth is found throughout much of the southern half of the UK becoming less frequent further north into Scotland and Northern Ireland. In Europe it is well distributed over much of Europe from Africa and Spain in the south west eastwards into Russia. The moth flies in a single generation between May and August when both sexes are attracted to light, sugar and flower. The moths have a forewing length of approximately 20 mm with females generally larger than the males. Variation occurs in how dark or light the forewings are – darker specimens being associated with industrial areas and much paler, almost white, specimens recorded in the least populated areas of the UK. 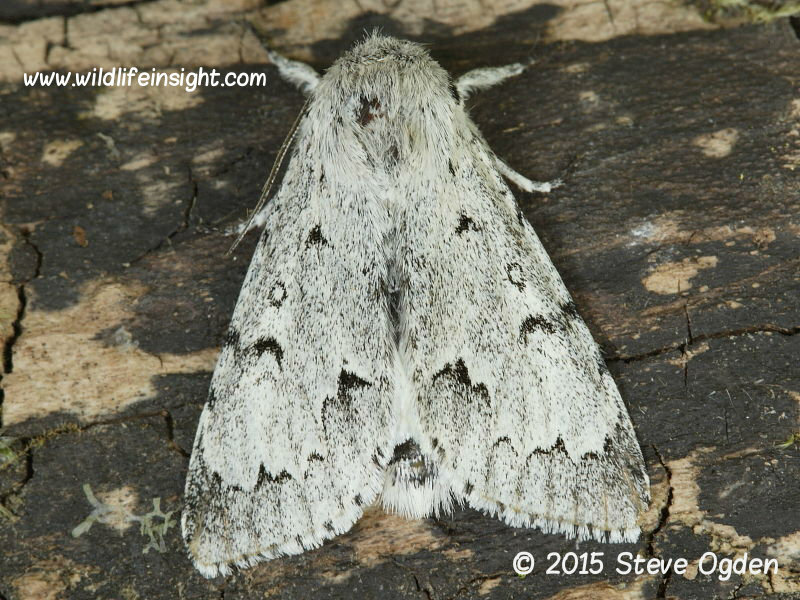 Other common Dagger species include Dark Dagger, Grey Dagger, The Sycamore, Poplar Grey, Alder Moth and The Knot Grass. The fully grown Miller caterpillar is up to 35 mmm in length with a pale green body and head. Long, white or yellow hairs swirl up one side and down the other side of its abdomen. This swirling effect is unusual amongst caterpillars so helping hairy caterpillar identification. The most common larval foodplants are the leaves of birch and alder but feeding on sallows and poplar has been recorded. The fully grown caterpillars change colour from pale green to brown prior to pupating. Unless searched for by beating trees the caterpillars are most frequently seen when on the ground wandering in search of a pupating site. The pupa is formed inside rotten wood where it will overwinter, sometimes more than once.